BILLINGS – Two consecutive hard winters are weakening the health of Yellowstone’s northern elk herd. An annual report detailing a March 17-19 aerial count was released last week showing the population was holding fairly steady at about 5,800, but calf-to-cow ratios have been low and many animals appeared to be in poor health. “We are probably going to see a little bit of a decline,” said Karen Loveless, a Fish, Wildlife & Parks wildlife biologist based in Livingston, Montana, who helps conduct the counts. Hard winters can affect elk populations in a couple of ways. They can result in poor health of the animals, which kills them outright, often in the spring as green grass starts growing. A difficult winter can cause a pregnant cow to absorb its fetus. Calves that are born may get poor nutrition from their weakened mother’s milk. Loveless said there’s no evidence that brucellosis, a disease that infects the Northern Range elk herd and can cause elk cows to abort, seems to have any population level impacts. “Low calf numbers are to be expected when winters are this tough,” Loveless said. Yearling bull numbers have also declined, down 42 percent from 2016. Most of the Northern Range herd – 75% this winter – continues to migrate out of the park, a trend that has remained high since 2011. Typically, that migration to areas like the Gardiner Basin and Dome Mountain Wildlife Management Area is a trip to a place with less snow than they would encounter in the park. That wasn’t necessarily the case this winter. About 2 feet of snow fell in mid- to late February in the Paradise Valley. Heavy snow pushed elk onto agricultural land where they are not welcomed by ranchers who want to keep the brucellosis-infected wildlife separated from their cattle to avoid infection. “It was a really challenging winter for managing commingling,” Loveless said. Under its management plan, FWP tries to keep livestock and elk separated, either by using herders to move the elk out of ag fields, by calling hunters to kill animals or issuing kill permits to landowners. With so much snow, Loveless said there was nowhere to push elk off of ag fields. What’s more, the elk were in such a weakened state that even shooting cracker shells at their feet didn’t prompt them to move, she said. Last year’s elk survey showed significantly more animals – up about 2,200 animals from 2017. The theory was that elk that traditionally migrated to Wyoming from the park in the winter were blocked by early snow and instead were diverted to the Paradise Valley. In talking with her counterpart at Wyoming Game and Fish in Cody, Loveless said the biologist did see more elk up high in bighorn sheep country this February. “Maybe this year more stayed and last year they got pushed down,” Loveless said. The total elk count in 2017 was about 5,300 animals. This year the count was 5,800. So the herd seems to be increasing if last year’s high count of 7,500 elk was a fluke. One asterisk to the numbers is that in past years the government agencies that cooperate on counts make two flights – one by airplane and the other by helicopter. This year, because of the federal government shutdown, only one flight by helicopter was conducted. Helicopter flights, because the craft are more maneuverable and can hover, result in higher counts. Elk populations in the Gardiner area are the bread and butter for some local hunting outfitters. In 2016, FWP made regulation changes to try to boost the bull elk population, much to the chagrin of some locals. Yet the changes seem to be working. The number of older brow-tined bulls is up from 93 to 114, a 22% increase in Hunting District 313. Inside the park, that number has increased from 339 to 410, or about 21%. “We’re not seeing a decline in bulls, so in that respect it’s been successful,” Loveless said. The ratio of bulls to cows isn’t great, though. “We observed a slight increase from 2.6 brow-tined bulls per 100 cows observed in 2016 to 3.4 in 2019, and a decrease in the proportion of 6-point and greater bulls from 44% to 27%,” Loveless wrote. Hunter harvest numbers have not been calculated for this past season. Based on what this past season’s hunting success shows, FWP will decide whether or not to suggest a change in the hunting regulations. Hunters are sacrificing opportunity to help recover bull elk populations. That may be helpful, based on one trend that is showing up. “Below average yearling bull and calf recruitment this year is likely to result in lower numbers of brow-tined bulls being recruited into the population over the next two years,” Loveless wrote. Twitter removed video uploaded by President Trump, four pirate site operators face trial in Spain and subreddit purging its history to avoid shutdown. The post 3 Count: Reddit Purge appeared first on Plagiarism Today. The post Game 14: CC Sabathia Returns appeared first on River Avenue Blues. President Trump said Thursday he is considering pulling U.S. Immigration and Customs Enforcement officers from California, warning that the nation’s most populous state would turn into a “crime nest” without the federal agents. Fuel queues have returned to Lagos as many petrol retail outlets in some parts of the state shutdown their stations, leading to long queues in a few filling stations that opened. This is coming after the Nigerian National Petroleum Corporation (NNPC) urged Nigerians to disregard media report of an impending fuel scarcity due to purported refusal by some oil marketers to lift products from depots. Ndu Ughamadu, NNPC’s group general manager, group public affairs division, had on Thursday issued a statement saying that the tale on fuel scarcity was fabricated by mischief makers with intent to create undue panic among Nigerians. Ughamadu added that the NNPC has over one billion litres of petrol in stock while imports of 48 vessels of 50million litres each have been committed for the month of April 2019 alone. But on Saturday morning, long queues were spotted in some filling stations in areas like Ojota, Ogba, Ayobo and Ikeja, creating gridlock problems in the neighbourhoods. While there was a rapid build-up of queues in some stations along Ikorodu and Awolowo roads in Ikoyi, it is understood that some stations stopped selling their products as early as 7pm on Friday night, causing motorists to struggle to purchase fuel where the product was available. Meanwhile, oil marketers have pleaded with Nigerians not to engage in panic buying, as the cause of the scarcity has been addressed. No último dia 4, a All Japan Pro-Wrestling deu início as competições do Champion Carnival 2019, maior e mais tradicional torneio da empresa, que garante ao vencedor uma chance pelo Triple Crown Championship. - Zeus venceu com um "Jackhammer". - Zeus [1 vitória, 0 derrotas] = 2 pontos. - Valletta [0 vitórias, 1 derrota] = 0 pontos. 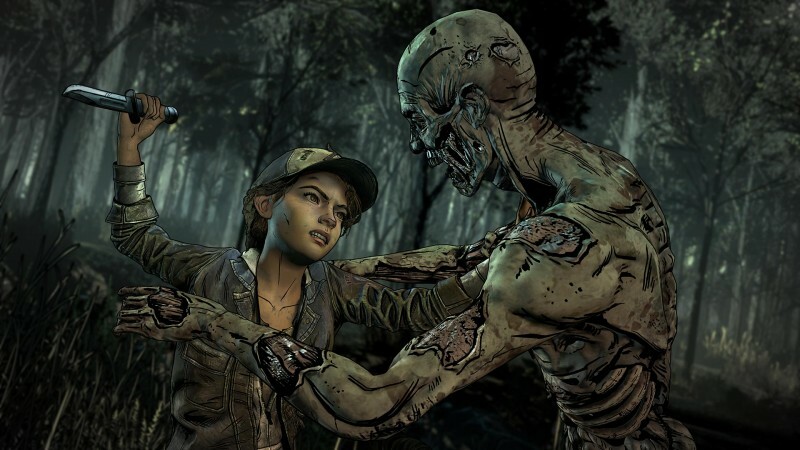 - Hashimoto venceu com um "Shinning Wizard". - Daichi [2 vitórias, 1 derrota] = 4 pontos. - Lee [0 vitórias, 2 derrotas] = 0 pontos. - Empate após atingirem o tempo limite de 30 minutos. - Ishikawa [1 vitória, 1 derrota, 1 empate] = 3 pontos. - Sai [0 vitórias, 1 derrota, 1 empate] = 1 ponto. - Tatsu venceu com um "CBJ". - Tatsu [1 vitória, 0 derrotas] = 2 pontos. - Doering [0 vitórias, 2 derrotas] = 0 pontos. - James venceu com um "Chokeslam". - James [2 vitórias, 0 derrotas] = 4 pontos. - Valletta [0 vitórias, 2 derrotas] = 0 pontos. - Lee venceu com um "Backdrop". - Lee [1 vitória, 2 derrotas] = 2 pontos. - Redman [0 vitórias, 2 derrotas] = 0 pontos. - Nomura venceu com um "Nomura Lock". - Nomura [3 vitórias, 0 derrotas] = 6 pontos. - Adonis [0 vitórias, 1 derrota] = 0 pontos. - Zeus [2 vitórias, 0 derrotas] = 4 pontos. - Miyahara [1 vitória, 1 derrota] = 2 pontos. - Redman venceu o combate. - Redman [1 vitória, 2 derrotas] = 2 pontos. - Adonis [0 vitórias, 2 derrotas] = 0 pontos. - Aoyagi venceu com um "End Game". - Aoyagi [1 vitória, 1 derrota] = 2 pontos. - Zeus [2 vitórias, 1 derrota] = 4 pontos. - Doering venceu com um "Flying Body Attack". - Joe [1 vitória, 2 derrotas] = 2 pontos. - Nomura [3 vitórias, 1 derrota] = 6 pontos. - Tatsu venceu via referee stoppage com um "Yoshitatsu Fantasy". - Tatsu [2 vitórias, 0 derrotas] = 4 pontos. - Suwama [1 vitória, 1 derrota] = 2 pontos. - Aoyagi venceu via referee stoppage com um "End Game". - Yuma [2 vitórias, 1 derrota] = 4 pontos. - Valletta [0 vitórias, 3 derrotas] = 0 pontos. - Lee [2 vitórias, 2 derrotas] = 4 pontos. - Yoshitasu [2 vitórias, 1 derrota] = 4 pontos. - Adonis com uma "Northern Lights Bomb". - Adonis [1 vitória, 2 derrotas] = 2 pontos. - Suwama [1 vitória, 2 derrotas] = 2 pontos. - Miyahara venceu com um "Shutdown German Suplex Hold". - Miyahara [2 vitórias, 1 derrota] = 4 pontos. - James [2 vitórias, 1 derrota] = 4 pontos. - Redman venceu com um "Wakigatame". - Redman [2 vitórias, 2 derrotas] = 4 pontos. - Nomura [3 vitórias, 2 derrotas] = 6 pontos. - Ishikawa com uma "Splash Mountain". - Ishikawa [2 vitórias, 1 derrota, 1 empate] = 5 pontos. - Aoyagi [2 vitórias, 2 derrotas] = 4 pontos. - Sai venceu com um "Akagawa Bridge". - Sai [1 vitória, 1 derrota, 1 empate] = 3 pontos. - Suwama venceu com um "Backdrop Driver". - Suwama [2 vitórias, 2 derrotas] = 4 pontos. - Yoshida [1 vitória, 2 derrotas] = 2 pontos. - Zeus [3 vitórias, 1 derrota] = 6 pontos. - James [2 vitórias, 2 derrotas] = 4 pontos. Look, all of the problems with the Lightning etc is being overblown. There is one main problem right now and that main problem is leading to any secondary problem. Vasy has been straight trash. I hate to say it but if Louis were in there, we don't lose Game 1 and Game 2 could have gone either way. Look at the stats from the games and it's clear that Vasy is simply being outplayed. Unfortunately, this is a common theme in the playoffs for Vasy. He seems to nut up. It's time he shows that he has some mental fortitude and he plays like he did the majority of the season that landed him in the Vezina nomination category. We are way too good to continue to be shutdown. Our breakout is due but it can't happen without Vasy at least being serviceable. As Lindsay juggled his city’s repeated crises, the sporting scene saw tremendous upheaval. On one hand, the venerable Yankees -- who had won 15 pennants in an 18-year span before 1965 -- and the NFL’s powerhouse Giants suddenly went into a level of decline neither had known for generations. But on the other, the fall of the city’s sports behemoths was accompanied by the rise of anti-establishment outsiders -- there were Joe Namath and the Jets, as well as the shocking triumph of the Amazin’ Mets, who won the 1969 World Series after spending the franchise’s first seven seasons losing 737 ballgames. The overlap of these two worlds in the 1960s -- Lindsay’s politics and the reemerging sports landscape -- serves as the backbone of “Fun City.” It is a story of a thrilling time in New York sports, set against the backdrop of a remarkable and often difficult time for the city, culturally and socially. The Integrated Regulatory Review Service (IRRS) team on 12 April concluded a two-week mission to review the regulatory safety framework in Germany. The mission was conducted at the request of the Government of Germany and hosted by the Federal Ministry for Environment, Nature Conservation and Nuclear Safety (BMU). The team of senior nuclear and radiation safety experts also met with representatives of the Federal Office for the Safety of Nuclear Waste Management, Federal Office for Radiation Protection and authorities from seven state governments. Using IAEA safety standards and international good practices, IRRS missions are designed to strengthen the effectiveness of the national regulatory infrastructure, while recognizing the responsibility of each country to ensure nuclear and radiation safety. Germany, which currently operates seven nuclear power reactors, aims to end commercial nuclear power operations by the end of 2022. The country has another 29 power reactors in permanent shutdown that will require dismantling and decommissioning and has begun a process to select a site for disposal of high level radioactive waste. Germany also operates seven research reactors for research and medical isotope production. The IRRS team said Germany has strong practices and processes in place that ensure comprehensive regulatory oversight. The review covered the following areas: responsibilities and functions of the government; the global nuclear safety regime; responsibilities and functions of the regulatory body; BMU’s management system and activities including authorization, review and assessment, inspection, enforcement and the development of regulations and guides; emergency preparedness and response; occupational radiation protection; fuel cycle and radioactive waste management facilities and decommissioning. The 21-member team comprised 17 senior regulatory experts from 16 countries as well as four IAEA staff members. “This mission raises awareness about Germany’s ongoing work to enhance regulatory effectiveness and its commitment to implement the IAEA safety standards, which serve as the basis for IRRS reviews,” said Juan Carlos Lentijo, IAEA Deputy Director General and Head of the Department of Nuclear Safety and Security. The team identified a good practice in Germany’s emergency preparedness arrangements, which allow all levels of Government to access necessary information at any time. They should assess leadership for safety and safety culture on a regular basis. They should establish requirements for the periodic review and update of safety assessments during immediate dismantling. They should include requirements for addressing public inputs during the process of termination of the decommissioning license. In addition, the IRRS team identified several other areas where further regulatory guidance would be helpful as the country transitions out of nuclear power. They include managing necessary changes to sustain the relevance of the regulatory framework and to support its efficient and consistent application across regulatory authorities. The final mission report will be provided to the Government in about three months. The Government plans to make the report public. Meet Jess, the Libertarian Party's Membership Manager. Jess Mears has been a Libertarian activist since 2007. She founded Libertarian groups on a college campus, a retirement community and at the county level. In 2010, Jess ran for state senate in Ohio at the age of 21. Jess has been involved with over a dozen Libertarian campaigns. In 2016, Jess traveled the country with Governors Gary Johnson and Bill Weld as the campaign's Director of Events. In 2018, she served as campaign manager for the Foxall For Florida House District 72 Special Election; this campaign broke records for fundraising and media garnered. Jess received a Bachelor of Arts from the University of Cincinnati in Communications and Public Relations. She lives in Alexandria, VA and works out of the Libertarian Party's National Headquarters. In addition to managing the party's membership programs, she serves as the Social Media Manager and in various other roles. During the recent government shutdown, with a little help from her friends, Jess coordinated a nationwide effort of Libertarian activists to remove litter from 20+ national parks. This effort resulted in some of the best media exposure the party has received for non-political campaign related activities. Jess's spring 2019 speaking engagements will give Libertarians a forecast on the 2020 presidential race and how to best prepare. 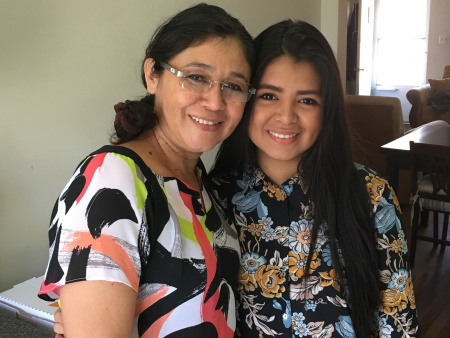 Nelle prime ore di oggi almeno 1100 persone, provenienti dall’America Centrale, hanno superato il confine tra Guatemala e Messico nell’area di Ciudad Hidalgo. Sono diretti verso il confine con gli Stati Uniti. 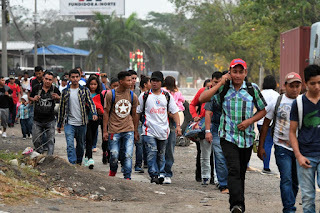 La carovana, che comprende anche persone provenienti da Cuba e da paesi africani, è formata soprattutto da cittadini honduregni, partiti mercoledì dalla località di San Pedro Sula. Si tratta della settima grande carovana di migranti da ottobre scorso. 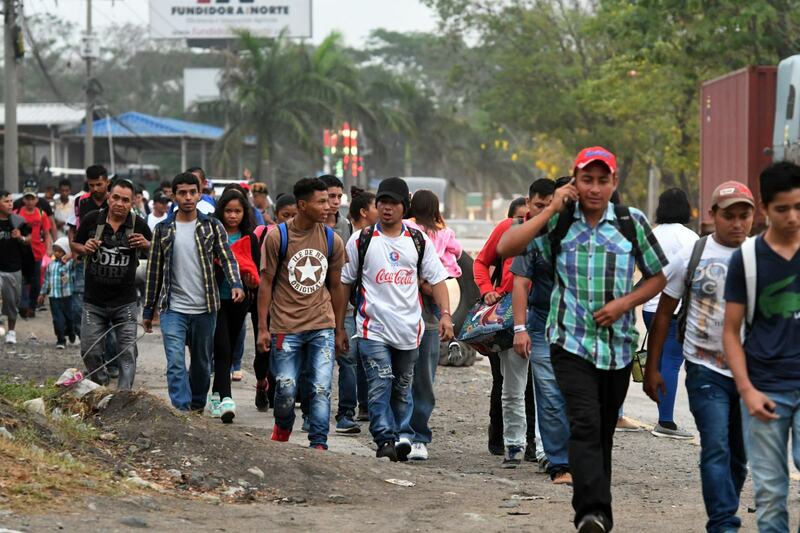 L'Istituto nazionale delle migrazioni ha recentemente chiuso i centri statali dei migranti a Morelia, Acapulco, Nogales e Reynosa «per mancanza delle condizioni minime di accoglienza e di fornitura di servizi». Qualche comune nelle città di confine, come Tijuana, ha una Commissione municipale per i migranti che controlla una rete di strutture ma la maggior parte sono sature per il ritorno in massa dei centroamericani che avevano cercato asilo negli Stati Uniti e sono tornati in Messico in attesa della risposta di un giudice statunitense alla loro richiesta. La questione migrazione è in queste ore più che mai al centro di polemiche negli Stati Uniti. Secondo il «New York Times», il presidente Donald Trump avrebbe chiesto privatamente la settimana scorsa a Kevin McAleenan, nominato in quei giorni pro tempore a capo della Homeland Security — dopo il licenziamento di Kirstjen Nielsen — di chiudere il confine con il Messico, promettendogli che in caso di violazione della legge e di problemi con la giustizia gli avrebbe concesso la grazia. L’episodio smentirebbe quanto detto ufficialmente da Trump, vale a dire che gli Stati Uniti darebbero al Messico un anno di tempo per evitare che il confine venga sigillato. Alla ricostruzione dei fatti riportata oggi dal quotidiano ha risposto il Dipartimento degli interni sottolineando in una nota che il presidente Donald Trump «non ha mai indicato, chiesto, ordinato o indotto Kevin McAleenan a fare alcunchè di illegale». McAleenan era già capo dell’organismo per la protezione delle frontiere U.S. Customs and border protection. L’agenzia Homeland Security è una sorta di superministero creato da George Bush dopo l'11 settembre, con competenze che vanno dalla polizia di frontiera all'anti-terrorismo. Il suo operato negli ultimi tempi non ha soddisfatto Trump, ilquale aveva criticato apertamente Kirstjen Nielsen, accusata di non aver saputo reagire all'aumento dei flussi di profughi e migranti alla frontiera meridionale. Lunedì scorso Trump ha scritto su Twitter: «Il Messico deve arrestare tutti i clandestini e non consentire loro di fare la lunga marcia fino agli Stati Uniti, o non avremo altra scelta che chiudere le frontiere. Il nostro paese è pieno». A Washington è ancora tutto aperto il confronto tra il presidente e il Congresso sulla costruzione del muro con il Messico. Trump ha chiesto 18 miliardi che il congresso si è rifiutato di mettere a bilancio: ne è scaturito a gennaio il record di settimane di cosiddetto shutdown. Poi Trump ha ottenuto che il Pentagono assicurasse un miliardo di dollari. Per aggirare le resistenze del Congresso e procurarsi i fondi per la costruzione Trump ha dichiarato lo stato di emergenza ma sono scattati diversi ricorsi. Si sono mosse le autorità giudiziarie di diversi stati — California in testa — sostenendo che lo stato di emergenza non esiste perché i numeri reali di coloro che cercano di attraversare la frontiera non sono particolarmente alti. L'Osservatore Romano, 13-14 aprile 2019. We're well past the golden age of the internet, when you could surf where you liked without being sure that ad trackers or some other bot were hungrily following your trail of cookies - not to mention actual human hackers and other threats. Ever wish your virtual self had an invisibility cloak? A good virtual private network is the next best thing. And among VPNs, Nord VPN still stands out as one of the best. This is still the well-supported VPN that earned an "Outstanding" rating from PCMag, among other accolades. With it, you can route your signal through one of over 3,500 remote servers worldwide, thereby foiling tracking algorithms and enabling you to bypass the browsing restrictions of whatever country you're in. The service includes double data encryption and automatic shutdown in case of a dropped connection. And best of all, Nord VPN maintains a strict no logs policy, meaning nobody records your browsing history - not even Nord VPN. This budget would also reform the way that local school districts receive transitional aid as a result of students who switch to a charter school. These reforms will result in quicker, more reliable funding from the State with no loss in actual funds." 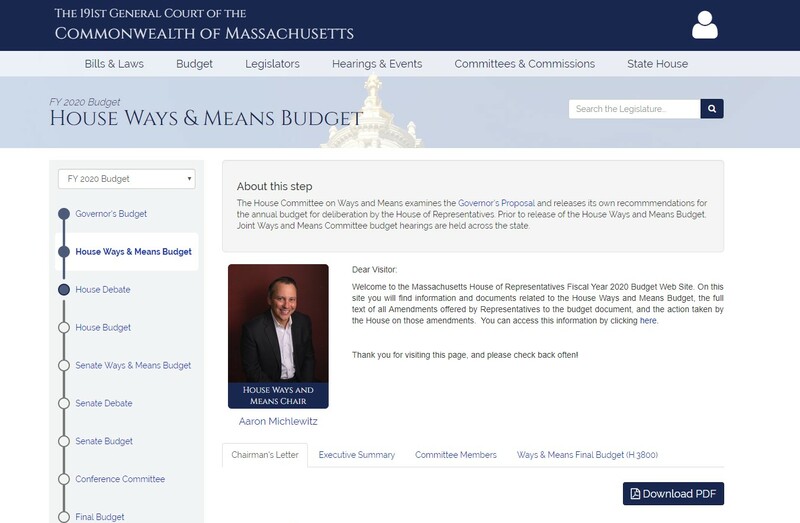 For those closely following the MA budget cycle, this is the second major step in the process. The Governor issues his budget in January (H1). This is the Ways and Means budget. The Senate will release their budget approx. in May. After the House and Senate have each finalized their versions, both get together in Conference to work out the 'final' budget that goes to the Governor for his approval theoretically before July 1, 2019. This House Ways and Means budget is usually more than the Governors' budget and what Franklin looks for to use for their own calculations on our local budget. This tends to be closer to the 'final' amount we can count on (but stay tuned for changes up or down in some of the amounts as the work in the Legislature continues). 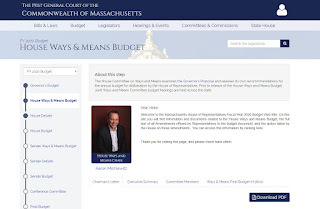 "The House Committee on Ways and Means budget proposal invests significantly in aid to cities and towns across the Commonwealth. 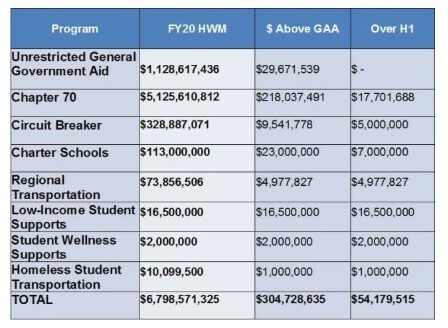 For FY 2020, the Committee proposes increasing the Unrestricted General Government Aid by $29.7M to $1.129B. 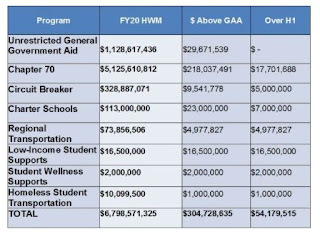 The Committee also proposes funding Chapter 70 aid to school districts at $5.125B, a $218 M increase over the FY19 GAA. Acknowledging the significant costs that districts face, the Committee invests $73.8M for regional school transportation, and also increases district aid for charter school payments to $113M, a $23M increase over FY19 GAA, while modernizing the funding formula to better align dollars with need. Provides $113M for Charter School reimbursement"
Ghana Water Company Limited has said it may be forced to shutdown water supply to Tamale and its environs if illegal sand weaning activities around its Dalun treatment plant are not halted. "... Many of the flaws in our operations stem from the fact that we are administrative courts located within a law enforcement agency, so crucial decisions are made by officials with little or no experience as judges. It is time to change that. But more than that, we need to be free to be independent judges, not be monitored and rated like assembly-line workers. We must be allowed to use our expertise to decide our cases without interference. The current structure detracts from due process and makes people doubt the fairness of the courts we preside over. We need skilled, experienced, neutral managers who understand how to run a court and make transparency, independence and public access paramount — not administrators who want to keep the trains running on time above all else. A number of lawyers’ organizations and scholars agree, and endorse the creation of an Article I Immigration Court. It would free our courts from the political influences of both the Justice and Homeland Security departments and the political whims of each new administration. It would allow a reliable funding stream from Congress to assure we have the resources needed to address our burgeoning caseload in a timely manner. It would mean that neutral judges would use their skills to make the rules and assure a level playing field for all. An independent immigration court will be an efficient and effective court that provides an example to the world of the superiority of the American justice system. We can and must fix this fatal flaw now." I had heard on the radio a short blurb about "National Shutdown Day" being Saturday May 3rd (today). Only problem is I didn't hear about what we were shutting down. I had initially thought it was something like "National Lights Out day" (which I also missed). So, today, I light up my computer and do a Live search on what it's all about. Well, I blew it. It's about turning off your computer for 1 day - as I'm reading that on my turned on computer (haven't figure out how to use it w/ out the power on) and typing this and also checking weather, some blogs, and my calendar.